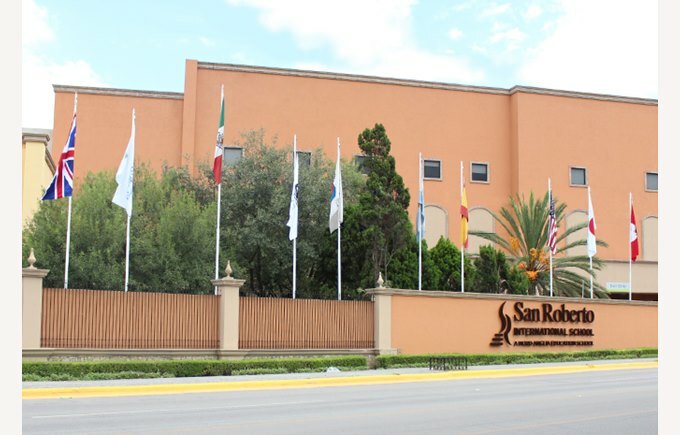 Our campus, located in San Agustín, is in the heart of Valle Oriente in San Pedro Garza García, easily accessible from main avenues and conveniently near shopping centers, restaurants, and hotels. Building with direct access to classroom from the student drop-off and pickup area. Classrooms with learning centers, reading corner and restroom. Playgrounds and gym equipped with the highest security standards. PlayPods area to encourage free play and creativity. Classrooms with reading corner and furniture that adapts for small study groups or individual work. Library with over 69,000 books. Long jump pit and racetrack. First-class gym with basketball courts and indoor ISR Aquatic Center. Soundproof rooms for drum practice. Auditorium for festivals, conferences and other activities. Cafeteria with healthy menu created by Blue Leaf. Ms. Prisca Rock is Campus Director at San Agustin Campus. 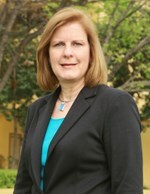 She has been with the school since 1990, where she has also served as a Computer Science and Language Arts teacher, Principal, Institutional Effectiveness Coordinator, and Coordinator of Special Projects. She holds a BCIS in Computer Administration Systems from ITESM, a Master in Education from UDEM and a Master in International Education from Framingham State University of Massachusetts. She lead the SACS accreditation processes for both campuses in 2001 and has been involved in the SACS/AdvancED accreditation and improvement processes of ISR since then. She is happily married and has three children who are ISR alumni. One of her hobbies includes community service projects, which she has enjoyed as a family activity since 1999.